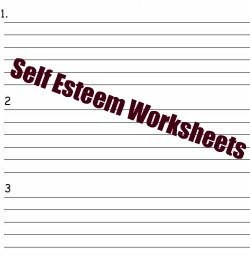 To download the self esteem worksheets below, click on the link for the worksheet and you will be taken to the page where you can download it. These worksheets help you do the exercises I recommended in the self esteem activities and self esteem exercises sections. I decided to provide these free self-esteem worksheets because it would help make life easier for you guys when doing the activities and exercises, so that rather than having to log on to the website every time you want to do the activities and exercises you can just download the worksheets and work from those instead. Just make sure that you have a file or folder to keep these worksheets in once you've downloaded and printed them out. Then as you complete the worksheets, keep them in the file or folder so that you can always refer back to them in the future. Also feel free to share the worksheets with your friends, in fact why not start a small self esteem building group with your friends and family members or even colleagues at work or faith group and work through these worksheets together, and if you are a teacher or trainer in the field of personal development and self esteem building you can use them as part of your workshops or seminars. Before downloading the worksheets, you might want to create a folder on your desktop and call it self esteem worksheets so that it will be easier for you to locate them later, then simply download the worksheets into that folder. There's nothing more annoying than downloading something and then not remembering where you saved it, it's happened to me too many times. 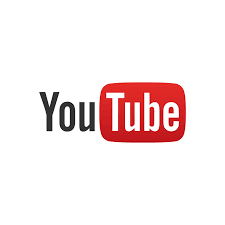 The links below will take you to the page where you can download the worksheet.